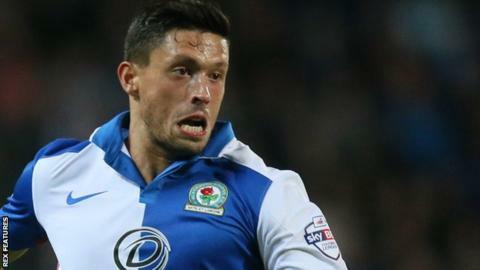 Blackburn Rovers midfielder Jason Lowe has said his return from eight months out injured felt like another debut. The 24-year-old has been missing since August with a foot problem but played 90 minutes on Saturday as Rovers drew 0-0 at Wolves in the Championship. Lowe, a former England Under-21 international, is a product of Blackburn's academy system. "It's been that long, it felt like a debut, even though I've played enough games for the club," said Lowe. He told BBC Radio Lancashire: "Once the game settles down and you've made your first pass, the adrenaline kind of settles down and you focus on what your job is." It was the first time Lowe had played with January signings Jordi Gomez and Danny Graham. "Obviously there are a lot of people that have come in and changes have been made," he added. "They've settled in very well around the training ground and I've trained with them for quite a while now, so there is nothing new from that respect."